A good dive is often determined by the preference of its regulars. For some, that could mean the seedier (and stickier) the better, the best karaoke night, most lovable bar staff, most random decor, or best late-night food. But Nashville requires a far simpler formula: cheap food, cheaper beer, and good music. And if the music is really good, whether it’s from a karaoke king, local DJ, jukebox, or live band, stickiness can easily be overlooked. 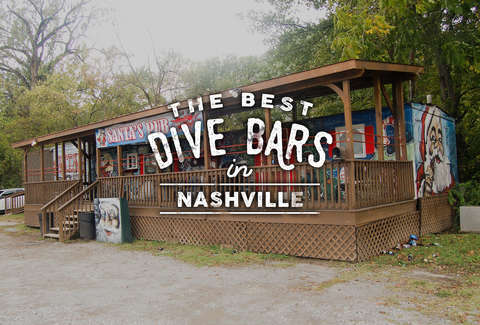 Here are the 13 essential dives in Nashville. 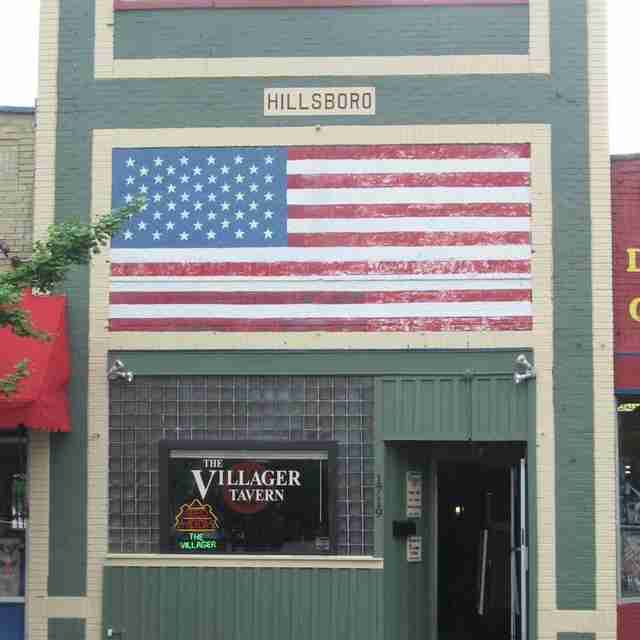 A local headquarters for darts enthusiasts, the Villager was recently inducted into the hall of fame from the Greater Nashville Darting Association. The beer is cheap and comes in a dog bowl on your birthday, and the walls are papered with photos of fellow drinkers enjoying the same good time. And the same bowl. East Nashville’s oldest dive bar changed owners around this time last year, receiving a slight nip and tuck to the space and extending the diner-style menu -- their pies are now baked by renowned chefs like Lisa Donovan (formerly of Husk) and Utterly Nashville’s Mayme Gretsch -- but otherwise remaining the same old bar with ice cold beer. And how many dives do you know that will actually muddle something? Their Mojito Mondays are one of the most popular nights of the week. 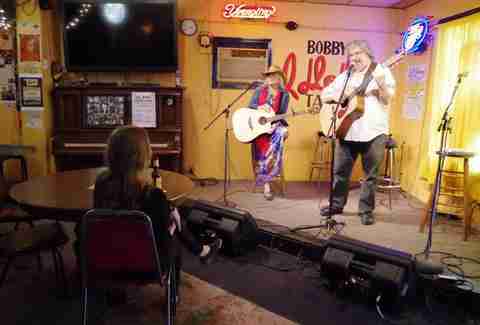 As the only bar on music row, both aspiring and acclaimed songwriters have been playing Bobby’s Idle Hour since 1979. As long as you’ve got an original, anyone’s welcome on stage. Can’t carry a tune? Just leave it to the pros and drink Natty Light (always on special) while gorging on a fistful of MoonPies. When the historic Melrose theater underwent an extreme renovation, adding new dining hotspots like Sinema and The Sutler Saloon, the building’s basement thankfully remained untouched. Melrose Billiards is one of the few places you can go when your 20s are a distant memory and staying out past midnight feels like an eternity, yet still lose all sense of time and walk out after last call like a champion. 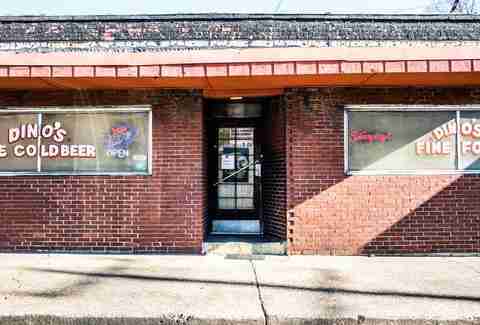 One part dive and one part deli equals one glorious combination for Nashville’s newest dive bar. Located in Five Points, Duke’s offers great music with DJs every night till 3am, happy hour from noon to 8pm, and deals like a $6 shot and beer and a $9 beer and sandwich. By now, Santa’s is way past the point of a secret late-night hang or essential dive and moved on to being a Nashville rite of passage for visitors and locals alike. While its fame has reached national publications, its essence remains more classic dive than ever. No nonsense (Santa’s always watching), $2 beers (cash only), karaoke every night, and year-round holiday cheer. 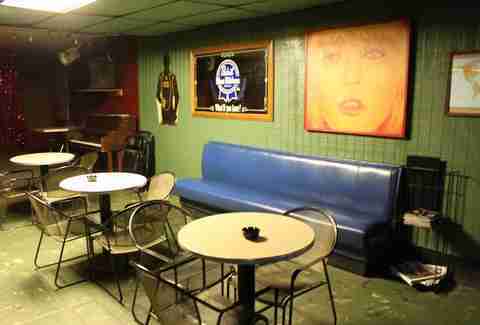 Said to be the oldest bar in Tennessee (established in 1896), Springwater possesses a certain charm in that green linoleum, sticky vinyl booths, and flashy red streamers that locals and even Nashville’s more famous residents just can’t resist. 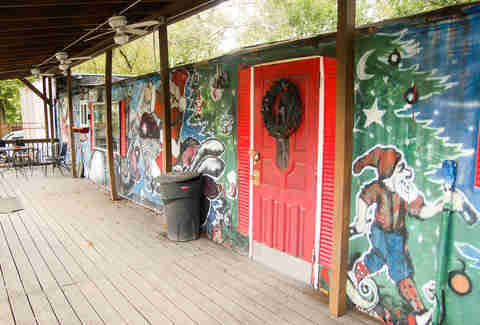 Springwater has served as the perfect backdrop in music videos for The Black Keys, Ke$ha, and Yelawolf, to name a few. 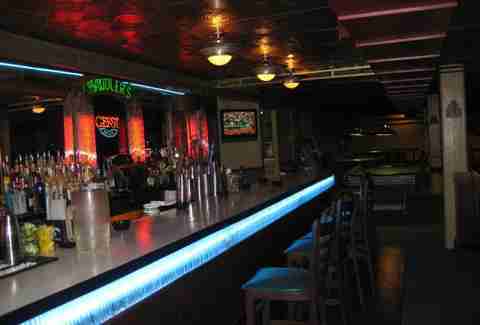 Fran’s is the type of bar where first timers walk out feeling like family and the regulars probably are. The beer is always cheap with $2 domestics and deals like 10 beers for $10 on Tuesdays, but locals swear by their cocktails. They will give you the pro tip of entering through the side door unless you want to make a grand entrance on the karaoke stage. 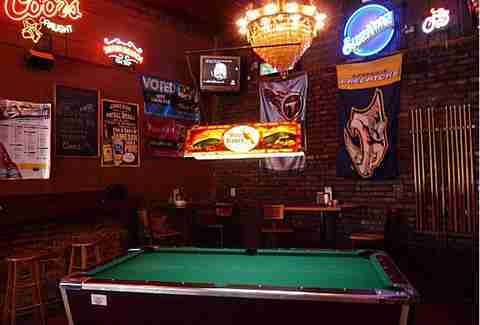 Twin Kegs is another quintessential Nashville dive bar where the smoke is thick, the karaoke is loud, and fried pickles are considered an appropriate entree. Located just south of town, Twin Kegs’ regulars prefer to be called Keggers, and they order their burgers bad (double the patty) and unapologetically play shuffleboard, one cigarette after another. If that’s not your thing, you can have the same great time sans smoke at their Hermitage Ave location. Brown’s Diner was founded in and converted from an old trolley car in 1927. They hold Nashville’s oldest beer license but are equally famous for their cheeseburgers (order ‘em with a side of hush puppies.). 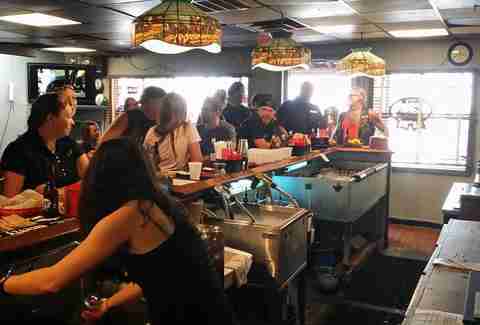 But while cold beer and good burgers are a bonus of dive bars, the charm of the genre is all about its characters, and Browns’, family owned and operated since the ‘70s, has that in the Southern hospitality of every staff member. Since 1974, The Gold Rush has been one of Nashville’s oldest bars. It’s the locals’ choice for essentially any occasion, whether it’s a nightcap post Exit/In show, craving for a world-famous bean roll (served till 1:30am), playing some pool and day drinking, wanting a boozy brunch with $4 Bloody Marys and mimosas, or a happy hour that lasts till 8 pm with $2.50 PBR and High Life drafts. 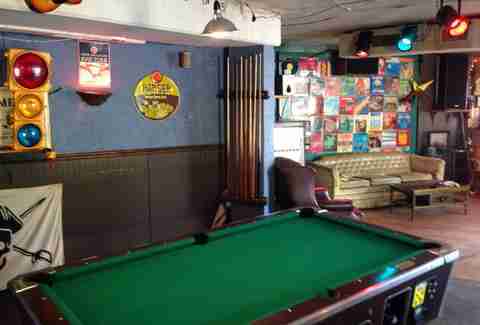 Mickey’s Tavern forgoes the DJ parties, karaoke, and trivia nights, but their values remain loyal to the dive essentials of cheap food and drinks. (The most expensive menu item is a $7 Cuban sandwich.) There’s also pool, a Ms. Pac-Man machine that also plays Donkey Kong, Space Invaders, and Galaga, and one of the best Jukebox libraries in town. Essentials indeed. 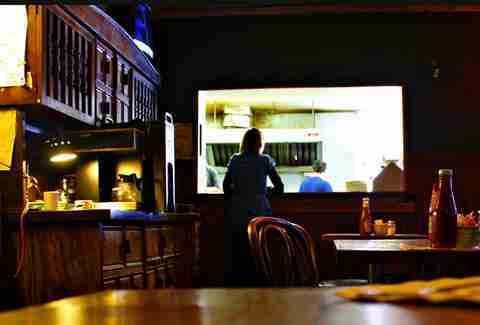 Located in the heart of the Wedgewood-Houston neighborhood, Tin Dog Tavern (or any dive bar, really) proves that you can’t judge a book by its cover. Once you get passed the barred windows, you feel right at home, if home was your high school best friend’s basement where walls boast alternating tin and neon signs, there are shot-skis, and the well-worn couches are especially welcoming. 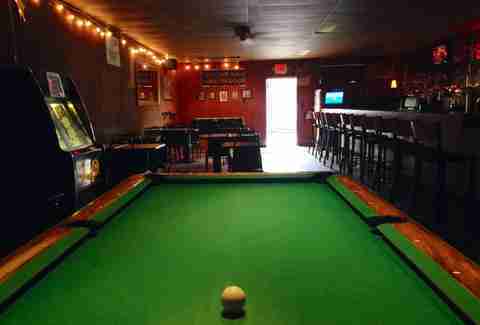 Your best friend’s basement, however, didn’t offer the Sunday Funday deal of half-off pitchers. Kendall is a Nashville native who will drink at any bar not made of reclaimed lumber.